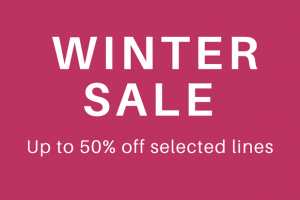 It's the final week of our Lily Charmed Winter Sale. Must end 23rd January 2018. There's already up to 50% off selected lines including sterling silver necklaces, birthstone rings and our range of premium solid 9ct gold designs, but now you can get an extra 10% off, while stocks last! Enter the code FINAL10 at the checkout for 10% off everything. Code valid from 17th-23rd January 2018. All Lily Charmed jewellery is presented in a beautiful gift box tied with ribbon.